What to buy a film editor for Christmas? The Christmas is almost upon us and you’re thinking about just how much you love, value and appreciate your humble film editor. You want to show them all those late nights, last minute changes and hours of edit suite counselling haven’t gone unnoticed, but how? If you want to give your beloved editor (or more likely editor in the making) a real christmas present, software could well be the gift that keeps on giving. Buying them an NLE will give them the chance to learn real skills that they can keep on using and developing for the rest of the year. Give a man a fish and he’ll eat for a day. Teach a man to fish and he’ll open a seafood restaurant. If you’ve got cash to splash Avid Media Composer would be nice. Failing that the recently updated Final Cut Pro 10.0.6 can be downloaded on the big day itself (along with Motion 5 and Compressor 4). Or you could get them started with a year’s subscription to Adobe’s Creative Cloud or the full Production Premium. For an (almost) freebie stocking filler Lightworks for Windows can be downloaded free, or the pro edition is only £40/$60. 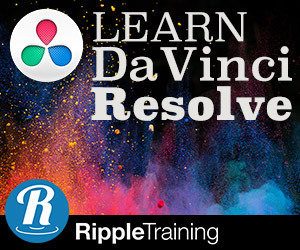 And of course you’d be crazy not to take advantage of Blackmagic Design’s generosity with the brilliantly free DaVinci Resolve Lite. For a more modest gift why not go with the safe option and buy a book. Even if they never read it, it will look good on the edit suite shelf/coffee table for ages.Plus you can scribble something half meaningful in the front cover. Film Craft: Editing by Justin Chang certainly has the chops to fill out any edit suite client facing coffee table in size, colour photography and editing insight.For more of a boxing day read First Cut 2 – More Conversations with Film Editors will provide your editor with chapters of insight from the editors of Platoon, JFK, The Wedding Crashers, True Romance, S.W.A.T and more. 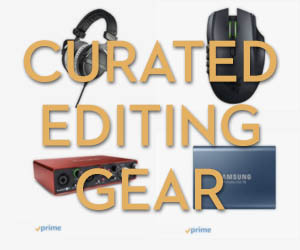 If you’re rich enough to be thinking about dishing out some editing hardware (or maybe you’re an editor treating yourself…) then these items should definitely be on your list. 1. A brand new imac to hook up to your Pegasus 12TB Thunderbolt Raid. 2. An Intuos Cintiq 24HD for some intense Wacom film editing right on the 24 inch HD screen. 3. Sat in your super comfortable yet stylish ergonomic chair. 4. Watching playback on your separate but huge 65-inch 3D TV. All in for the princely sum of $11, 506.65. Simples. Next time you see your editor pawing over his ipad or iphone he might be diligently saving you time with some of these excellent apps. That or he’s checking twitter again. Aja Data Calc – This free app from AJA helps you quickly calculate how much space you’re going to need for all that footage they’re planning on shooting. Digital Rebellion – Editmote – This $5 app lets you control your NLE remotely right from your iphone or ipad. Nifty for some things. Fun to play with. Dropbox – Very handy app for collaborating with others, sharing files and sending clients cuts to view. If you want to sign up for free use this referral link and we’ll both get an extra 500mb of free space! Technicolor – Another free app, this one will calculate how long in minutes a certain foot length is of film. It will also do a data rate calculation for the file storage needs too. Bit Budget Pro – This handy little app will calculate how best to distribute your bits when burning a DVD or blu-ray disc. No more frustratingly slightly-too-large files. Kata Data – For $5 you can get a more up to date storage space calculator than AJA’s freebie. Very stylishly laid out and highly rate in the app store. Worth it. If your fingers are too pudgy to be fiddling with an iphone then these ipad ready apps might be just the business. That or its time to get one of these. 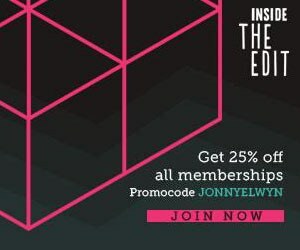 Digital Rebellion – Cut Notes – The perfect app for editors and producers/directors alike Cut Notes is the app to pull out in a client screening when the changes are being called out all over the place. Cut Notes takes care of the timecode so you can just get typing. Final Draft Reader – This free app is available for both ipad and iphone but its much easier to read a script on a larger screen so I’ve included it here. Best of all you can annotate, color code and make notes as you go. V-Control Pro – Looking for and ipad interface for your favourite DAW? V-Control Pro works with Pro Tools, Logic, Reason, and Cubase but also with FCP 7 and Avid Media Composer. Its pricey at £35 but if you’re needing to make some changes on the go, it might be just the thing. So there you have it – that’s what’s on my wish list – what’s on yours? Of course you could decide not to spend all that money on your self and just give it away. Heck, it will probably be more fun. I’m out to raise £5k before the end of 2012 for an amazing primary school called Rock of Joy in Uganda – why not give it to them? Check out www.sixtysecondstochangetheworld.com or you can always buy a goat from Oxfam.